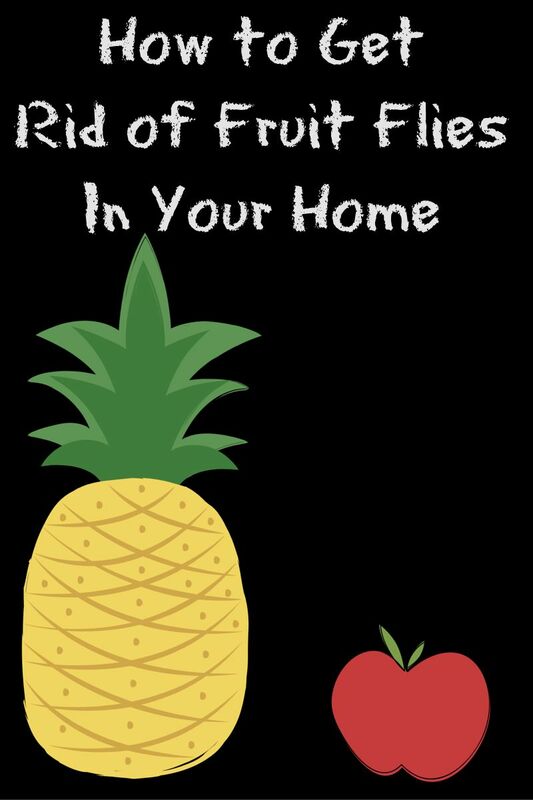 The first thing you need to do in order to get rid of fruit flies is to stop them from breeding. To achieve this, you don’t want to leave fruit or vegetables out like potatoes, tomatoes, and onions. You want to store these in the fridge to help prevent them. Also be sure to clean out recycling bins that have bottles and cans in them and clean the sides and bottom of trash cans. Sometimes the residue of food can attract them into your house as well. 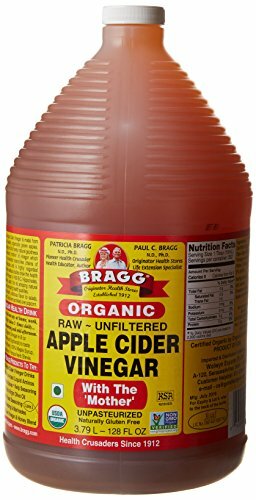 Trap Them With Apple Cider Vinegar- Fruit flies love the smell of fermentation and this type of vinegar is made from fermented apples. For this, you will need a mason jar, funnel, ½ cup of apple cider vinegar and a drop of dish soap. Heat up the apple cider vinegar and pour it into the mason jar. Add a drop of dish soap, which is to ensure the flies won’t just sit on the vinegar when they are done drinking. Place the funnel into the jar. The fruit flies will be attracted to the fermentation, go into the jar but won’t be able to get out and they will ultimately drown. Fruit Trap- Fruit flies love fruit so this is a great way to lure them into a trap. You will need a mason jar, plastic wrap, toothpick and fruit that is overripe. Add the fruit pieces to the mason jar, cover with plastic wrap and secure with a rubber band. Using a toothpick, poke a few holes in the plastic wrap and set the jars where you see the fruit flies congregating. The flies will be attracted to the fruit but won’t be able to get out. You can submerge the jar into a sink of hot, soapy water to ensure they won’t come back out. 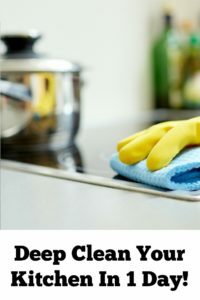 Clean Counters- After getting rid of the fruit flies I also find it helpful to wipe down any surfaces they were on or near. 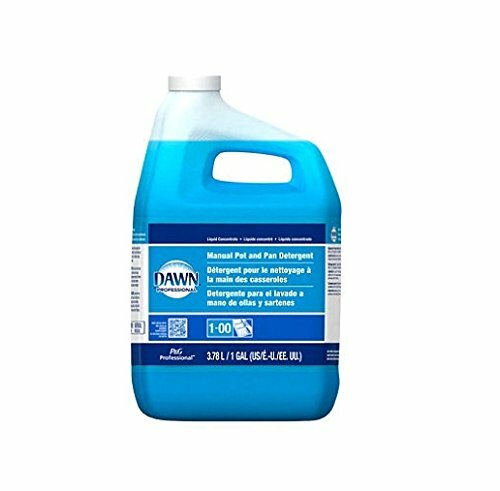 I always do a thorough spray and wipe down with an all-purpose cleaner. How do you prevent fruit flies and get rid of them? We were invaded by fruit flies a couple weeks ago. This would have been so helpful in getting rid of them! This is so helpful! We always have fresh fruit around. Last summer we had horrible fruit flies at least once a month. Stupid bananas. These are such great tips! I need to try the second tip! I have tons of fruit all the time and am moving to Hawaii where I heard bugs of all kinds are really bad. We seem to get them every summer. Not sure why! But I’ll be trying the apple cider vinegar method. We had an invasion of fruit flies last year – they drove me absolutely batty! I did use apple cider vinegar but I didn’t know about adding the dish soap. I will try that tip if it happens again this year. Our house has been invaded with fruit flies this week because I let some peaches go bad on our counter:( I will definitely try the apple cider vinegar the next time it happens! Thanks! This is great! I always drink ACV in my water and get so annoyed at all the fruit flies that take over, LOl! Now I know why! Also love that it is non-toxic too! It is fruit fly season! Ha! We like the ACV method too. Ugh, fruit flies are so annoying! Thanks for these tips. Thanks Jenny! I’ll definitely use the vinegar. But technically, Tomatoes do not belong in the fridge! Tomato Geeks & Real Gardeners will tell you that & I learned it probably from a Mother Earth Living article or from Better Homes & Gardens, type mag. I read that kind of stuff all the time. Just buy what you need & will use in a few days or they will attract bugs, get soft & eventually mold. No room for my potatoes & onions in fridge. I keep them under the cupboard near the sink-but off to 1 side. No problem with those. Bananas are the biggest problem for me. Everything else gets put into the fridge. This is great! When I first saw your post I thought you were going to suggest some chemical like so many people use for pests. 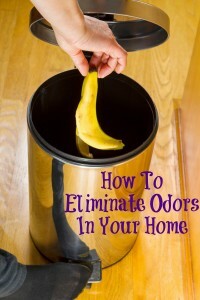 This sounds like such a great solution without putting poison in your home. Great tips! We’ve been dealing with this issue lately, so I’ll go down the list! With the warm weather coming this is very helpful, thank you. This is perfect! We have fruit flies…ugh!